As the high-grade residential developer forges into the future, VConsunji Group gets better in form and formidability. VConsunji Group, the eminent name in the country for property development, grows ever bigger and better. While the construction and design firm strengthens its specialty in creating and crafting high-grade developments into premium residential choices for today’s Filipino family, it only continues to reap one success after another. Backed by decades of experience and excellence from its original entity David M. Consunji Inc. (DMCI), VConsunji Group is now helmed by the founder’s grandson, Victor Consunji. With a BS Civil Engineering degree from the University of the Philippines in Diliman, Victor is an alumnus of the highly-coveted Harvard Business School Owner and President Management Program (OPM). “What our developments address is the need for home owners to have a bigger space at an affordable price because as it is, everyone’s stuck between choosing house sizes, travel time, and of course, cost,” declares the CEO engineer. Building thoughtfully-crafted and artfully-designed modern dwellings is VConsunji Group’s commitment to the end users of its select properties. Its projects echo today’s urban way of living, with the company building practical and contemporary homes for individuals and families set in convenient and well-appointed locations. Today under his leadership, the development corporation is known for designing and executing choice residential projects that are truly a cut above the rest. Its recent and resounding success from the completion of the opulent M Residences at Mahogany Place III in Taguig marks another auspicious hallmark for the organization. 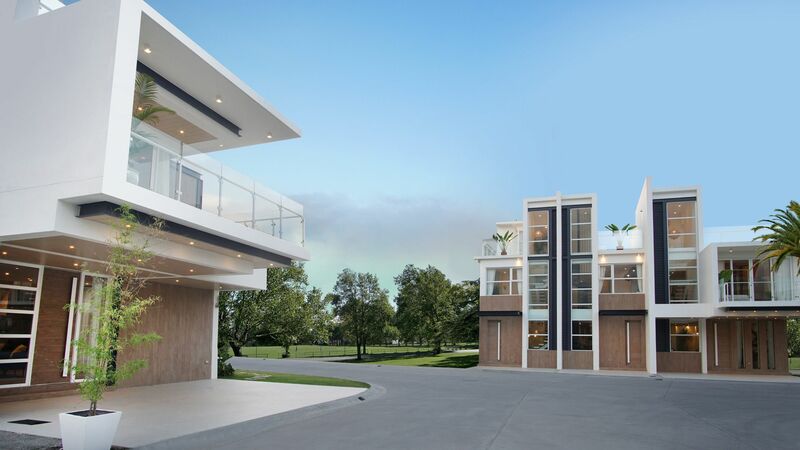 This is not counting its solid array of prize living options for individuals and families situated in M Residences in Mowelfund, New Manila to prime properties in Valley Golf in Antipolo, Rizal; Capitol Hills in Quezon City; and its hillside creation Sky House in Busay, Cebu. All define what contemporary and chic dwellings are now. The design philosophy of Casa Consunji is for the structural attributes of a VConsunji Group creation to seamlessly mesh and meld with the complementary pieces and overall style ambience of the home. Its carefully-curated interior décor selections blend seamlessly into the high-grade homes built by the company. This means premium style in and out, from façade to finish, spelling topnotch design that flows from the exterior to the interior, and vice versa. Today, as the national leader in engineering, construction, and project development, VConsunji Group stays true to its corporate tenet of providing top-quality residential projects with its complete suite of services for a generation of Filipinos. And as can be expected from this esteemed institution, the growth goes only from strength to strength.